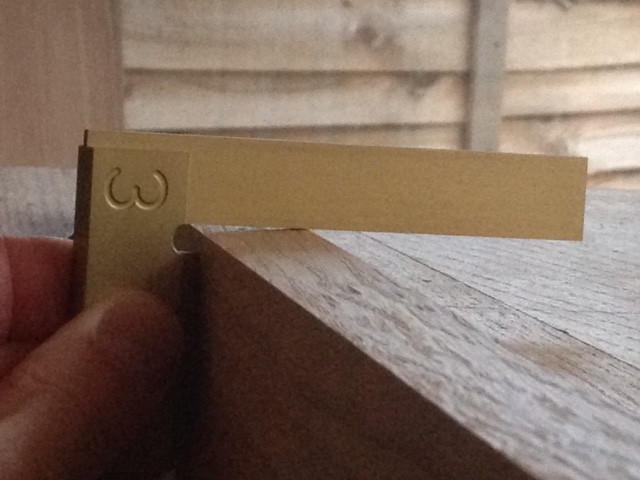 A sharp smoothing plane took care of the tear out. Seems a shame that it won’t make the final product. The technique seems to work. I glued up pairs, then fours and finally the seam down the middle. This photo shows a bit of flattening at the top. 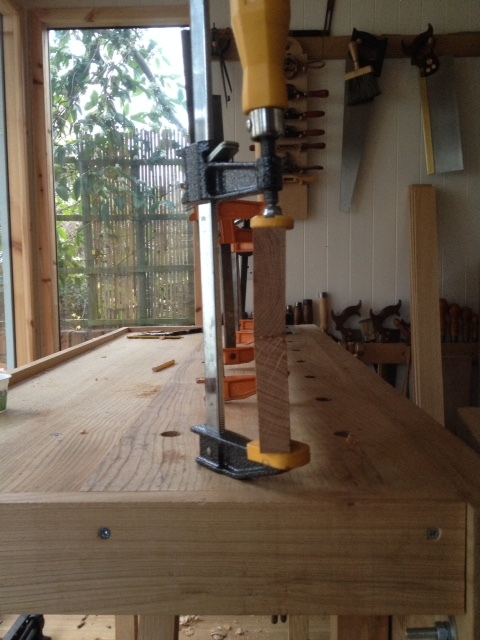 I had to replane the edges for the last joint; clamping had given them a bit of edge set and I needed to true them up. 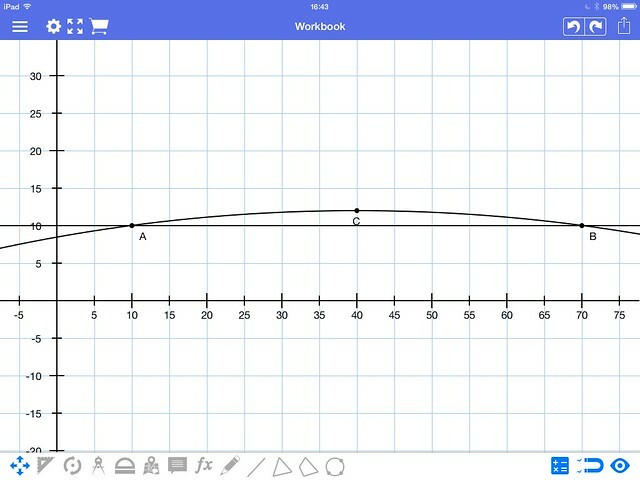 In doing so I lessened the bevel flattening the curve. A useful lesson learned. I’m glad I did this on scrap. Another lesson I seem to need to relearn is to pay attention to grain direction better. 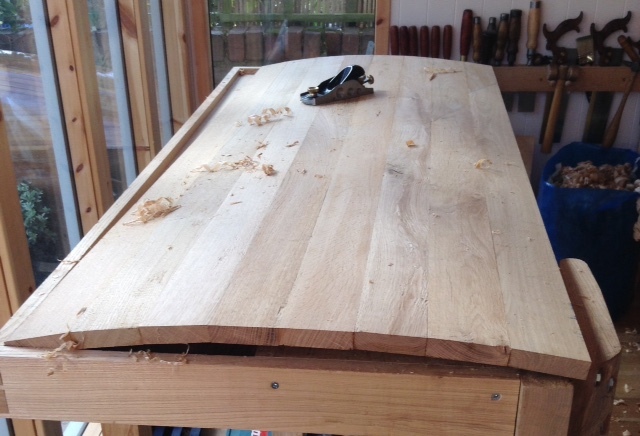 While planing the planks to give a smoother curve I was reminded of the need to match the grain direction in adjoining pieces by big chunks of tear out. 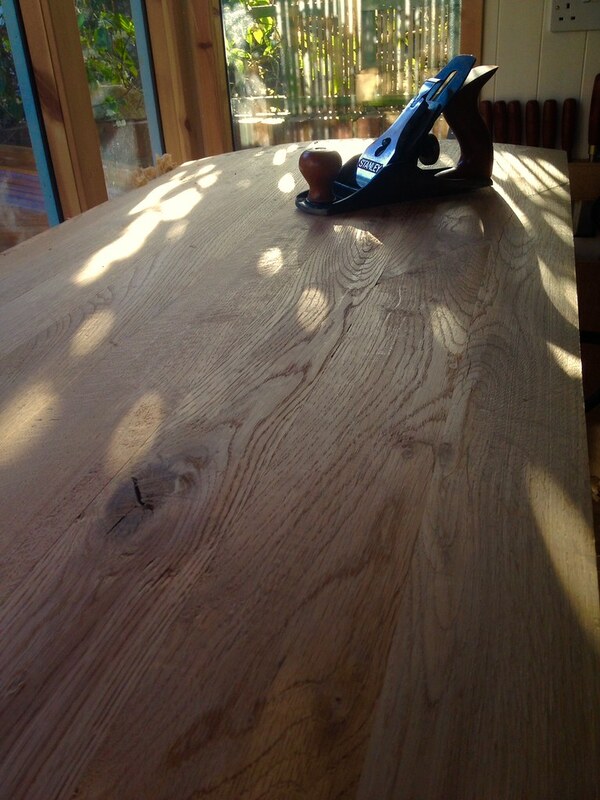 That said, these oak planks found their way to the bottom of the wood rack because they had such convoluted grain. None of the pieces here have consistent grain along their length. The Douglas Fir arrives in seven days. I hope it’s more consistent. I didn’t get to pick the planks myself.